It is notified for information of all concerned that the last date for completion of admission formalities for admission to the 1st year class of B.A, B.Sc, B.Com (3 year General course) in the respective affiliated colleges of the University shall be March 10, 2014. The Principals of the respective colleges may allow admission to the eligible candidates beyond the last date on payment of a late fee of Rs. 200/- and Rs 400/- for first count of 15 days and second count of 15 days, respectively. The candidates who have passed their 12th class examination in full shall be eligible for admission. However, for Science stream, candidates having secured not less than 45% marks in case of open merit and 40% marks in case of reserved categories (in accordance with SRO’s issued by the State Government from time to time) in aggregate shall be eligible for admission. Further, the candidates whose results as are yet to be declared by the CBSC, JK BOSE, other Boards, including Pass out/re-evaluation cases etc. are also advised to formalize their admissions in the Colleges provisionally on their own risk and responsibility upto and including March 15, 2014. The Principals shall forward the Registration Return within 40 days from the last date of admission, in case the number of candidates is less than 200 and within a maximum of 60 days, in case the number of candidates exceeds 200. A late fee of Rs. 20/- per student shall be charged for late submission of Registration Return upto 15 days. No Registration Return shall be entertained thereafter. The Principals must forward the Course-Wise, Registration Return as per the format devised including a soft copy in CD duly signed by the Principal separately for the students admitted upto last date fixed i.e. 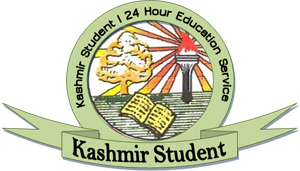 March 15,2014 and beyond the last date on payment of late fee as specified above, alongwith the original Higher Secondary School leaving certificates and photocopies of the Secondary School Examination (Matric) and Higher Secondary School Examination Part II (12th class) certificates. 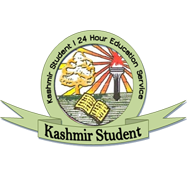 However, the eligibility of the pass out Candidates of 12th class other than J&K Board of School Education, shall be determined subject to the submission of Migration certificate(s) from respective institutions and equivalence certificate of 12th class from J&K Board of School Education. The College Principals shall accordingly check the status of the Board(s) prior to their admission to the course in the respective colleges. The admission process shall start from 10-2-2014 In the respective affiliated Colleges on all working days.